Oh, and don’t forget to vote OUT next Thursday! Inviting people who don’t like your country’s way of life, and who have an enclave mentality; who want to do anything other than blend into your culture, to come and live in your country, is an act which most western governments have done in the last twenty-five years. We in the UK have done it, America has done it – many of these people are Muslims, but we also have large numbers of Polish and Portugese people here, among others, and they tend to cluster together too. They are certainly not in the main extremists (in the US you are considered to be an extremist if you are a Bible-believing Christian today). But it’s the perfect ruse. Governments have had plenty of time to start and build this. 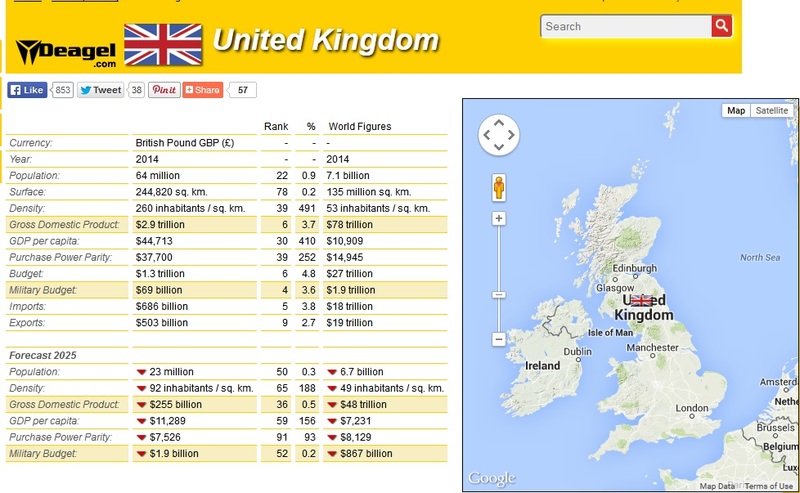 There are cities in the UK which are no longer British in any visibly identifiable way. London, Leicester, Bradford and Birmingham. Let’s not forget Rotherham – where white girls were groomed, and abused by Muslim men. This was not dealt with, not talked about because of the Politically Correct policy of over-sensitivity to the needs of these ‘outsiders’, who don’t want to be British, but want to live in Britain. It’s been a long-time plan – whether consciously, or sub-consciously, to close our open society with these people. Simple. Tolerance leads to suffering. First of all you allow a few in, and let them set up their areas – it wouldn’t matter what religion they were, by the way, or nationality – it’s only a fact that many are Muslim, that is not the issue, it is the desire to be within a country and still be separate from it’s culture. The Chinese have done the same in Vancouver, B.C. But even if you discount that possibility, the ever deepening of the depravity of western lifestyles, in the face of increasing Muslim immigration to the UK was bound to cause them to hate the native population even more as time has gone on. As a Christian, I can understand much of what they dislike about our culture, even if we disagree on the solution to it. So the media winds up the native populous, and effectively shows the people that the government has no power to deal with ‘extremists.’ Of course we will never know the truth about these people, and that’s deliberate too. So then, you criminalise ‘Hate Speech’ whilst pointing at the radicalised and enclave-minded people, and the natives clamour for laws to be passed to silence them. The media gets behind this too, and makes everyone feel better, never mentioning any downside to the plan. You criminalise, as Theresa May wants to, groups where people discuss anything which is radical – whilst pointing at the (manipulated and radicalised) Muslims. The native population clamour for them to be silenced and stopped. You fake terrorism in foreign countries against our own people. Yes you do. All the while you are pointing at the Muslims. 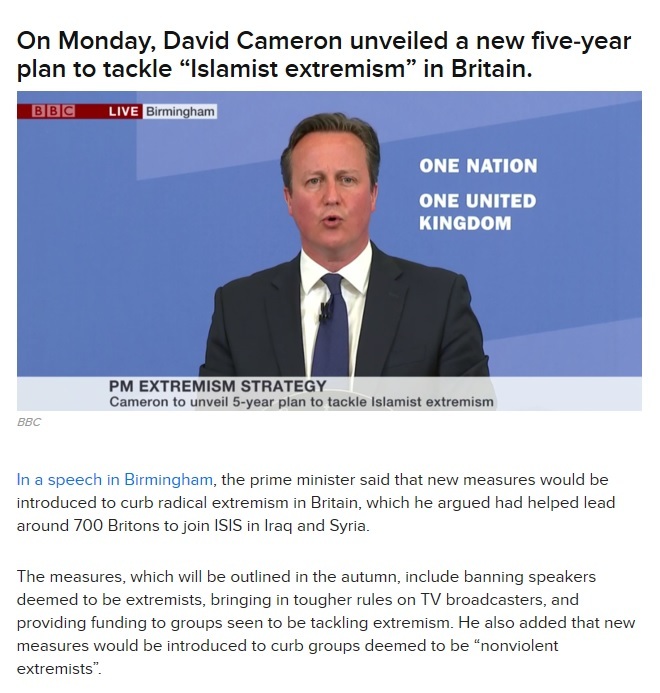 You arrest people who are planning to leave the country because they are planning to join ISIS, you say. 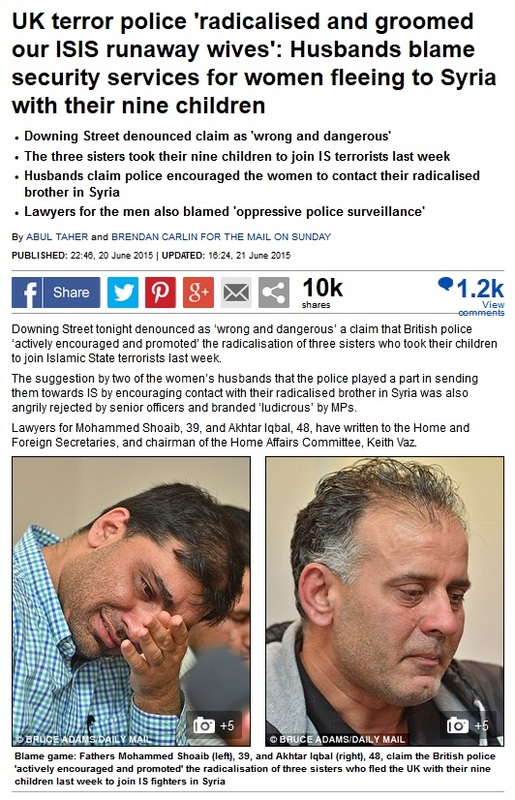 Whilst ignoring the families of those who have left to do just that, and who say the secret services manipulated and radicalised their wives, causing them to leave (see image above of the weeping husbands). The laws that are being passed to stop *points* those people over there, are equally applicable to the native population who clamoured for those laws to prevent the perceived, actual or even faked activities of *points* those people over there – within our own country. 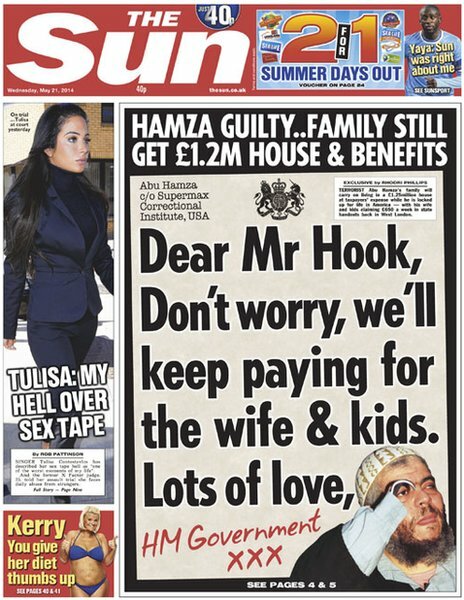 This ploy is being used to great effect in the UK, to silence the thinking middle class, and it is also being used in France where the (fake) Charlie Hebdo killings, and the fake Bataclan massacre became the springboards for a raft of anti-free-speech legislation, and legislation against the use of cash. Because cash is what terrorists use… Yes really. When will we all wake up to the crime being perpetrated against us? That is we who are kind, we who are moral, we who are loving, whether we are Christian, Muslim, French, Canadian, black, white or whatever. The public are NOT generally racist, we are generally easily manipulated, and the government, the Tavistock Institute, and MI5 and MI6, and GCHQ – they know this, and they manipulate to get the very effect THEY want. They really work for satan. You were made in the image of God. You belong to God, and God loves you. He is working to unite you with himself through the only door He gave us – Yeshua (Jesus). Satan comes to steal, kill and destroy – if there is theft, if there is trouble, if there is destruction, those who work to perpetrate it are NOT on your side, no matter how you have been manipulated into seeing and believing things are. The government looks like it is passing laws in response to things outside it’s control – and yet, it is not. It is allowing things to happen, and machinating things to happen, to get the effect they want. 64.6% depopulation is expected in the UK by 2025. How is this going to happen without a war on home turf, I wonder? I pray, and I ask you to pray, for a deep repentence in the British people, and in the leaders of this country – turn back to God, and admit your sins.